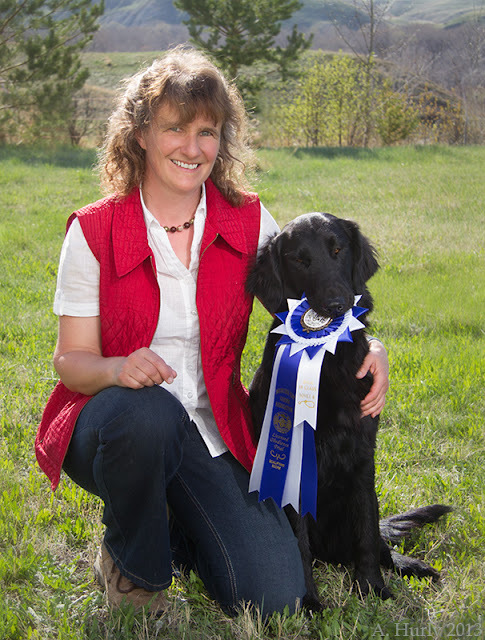 We entered Cava in the Medicine Hat obedience trials in the middle of May and she qualified in both trials, completing her CD obedience title. She did a lovely job in the first trial and won High in Class in Novice B. Cava is now Am/Can CH Bramatha Under Pressure WC CD RN. Liz and Cava and their High in Class ribbon.